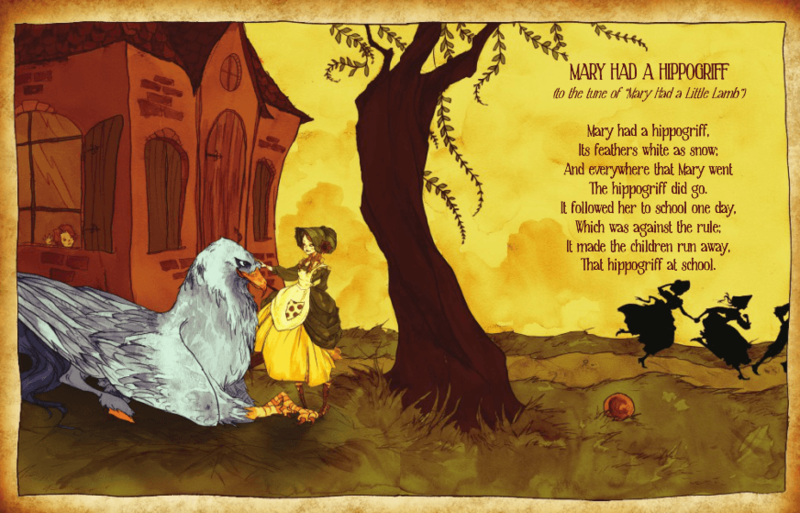 From Father & sons author team, Henry, Josh, and Harrison Herz, comes Monster Goose Nursery Rhymes, a delightfully dark set of nursery rhymes about ogres, witches, hippogriffs, and zombies. Playing off traditional nursey rhymes like “Itsy Bitsy Spider” and “Little Miss Muffet”, these poems take us out of our comfortable and ordinary world and place us instead in a world of fantasy, where strange and dangerous monsters lurk. Here, “itsy-bitsy spiders” are the least of our problems when there are brownies on the loose. And “little lambs” and “baa-ing black sheep” are nothing compared to hippogriffs and roaring ogres. Complete with a bestiary of monsters in the back of the book and Abigal Larson’s stunning full-page illustrations, this collection is fun, playful, and just dark enough for all our monster-loving little ones to eat up. You can order your copy of Monster Goose Nursery Rhymes on Amazon or, better yet, your local independent bookstore. Previous Watch Out! Here Comes the Spider-Man!